Root Oneplus 5 doesn’t void the warranty of the phone. 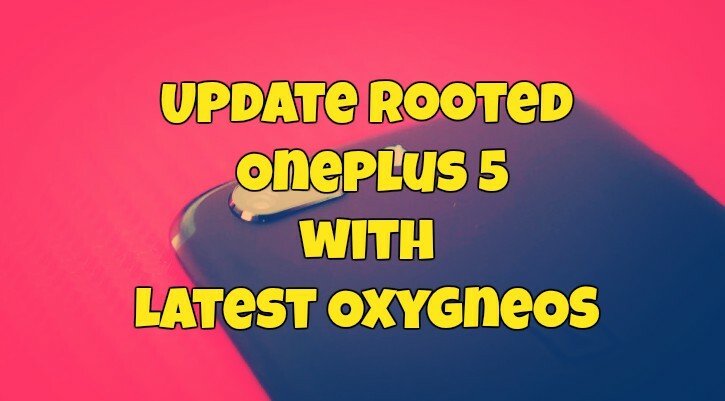 Many Oneplus 5 users rooted their phone, and most of them want to know how to Update Rooted Oneplus 5 with latest Oxygen OS update. In a Non-rooted phone, you can easily get the OxygneOS OTA update and install the same without any problem. But in the rooted Oneplus 5 you can’t receive the OTA update and not able to install the same on your phone. The only way to update rooted Oneplus 5 with Latest OxygenOS firmware is to download the Full OxygenOS ROM and flash the same with Oneplus5 TWRP custom recovery. But many rooted users are facing problem while installing the update in TWRP recovery. So here in this guide, we will show you the whole procedure to update oneplus 5 with OxygenOS update. This method is only for the rooted Oneplus 5 users who are using the TWRP custom recovery on their phones. All you have to download the full ROM zip file of the Oxygen OS and install it with the help of TWRP recovery. So let us get started and update oneplus 5 with the official firmware. First, visit the Oneplus 5 Official Site and Download the Oxygen OS ROM zip file. Now move the zip file on your phone’s internal memory and remember the location od the ROM file. NOTE: – Make Sure You are running the Latest TWRP recovery on your phone. Otherwise, you will face some error during installation. Check this guide to install the latest modified TWRP on your phone. Once you update your phone, you will lose the root access on your phone. To root the oneplus 5 again, you need to flash one of this zip file on your phone. Download SuperSu zip file here. Download Magisk Root Manager File here. And save the zip file on your phone. 1. Download the Full ROM zip on your phone from the above mention link. 2. Now time to boot your phone into TWRP recovery mode. To boot your oneplus 5 in TWRP recovery mode. Switch off your phone first and hold Volume down + Power button for few seconds. 3. Now your Oneplus 5 boot into TWRP recovery mode. 4. 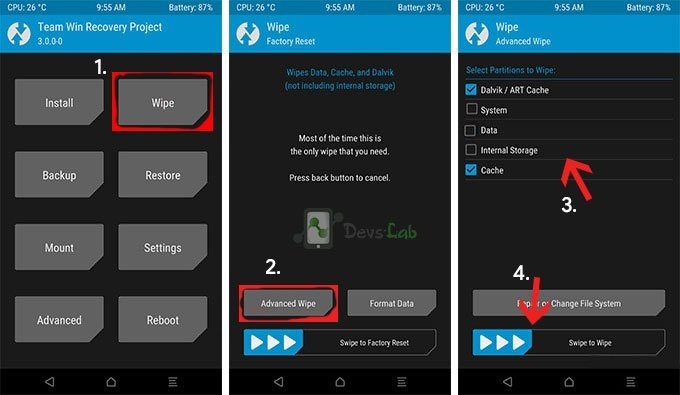 Tap on the Wipe Option > Advanced Wipe and Select Cache and Dalvik Cache. Swipe to Wipe. 5. Once completed go back. Tap on Install and Locate the Oxygen OS zip file and flash the same on your phone. Now this will flash the Full ROM on your phone, and you will not face any error. 6. If you want to root your phone again. Flash the SuperSu zip file or Magisk Zip file on your phone. 7. Once completed. Go To Reboot and Reboot into System. So with the help o this method you can quickly update your Rooted Oneplus 5 with latest official OxygenOS firmware. Hope you guys like this guide, if you are facing some error, then do let us know in the comments section.